Lafayette Often the devil is in fact in the details, and two important efforts at pushing hard on the details within the vast bureaucracy of governmental affairs matter hugely for people, making these initiatives worth following closely, and piling on to support them for reasons both large and small. 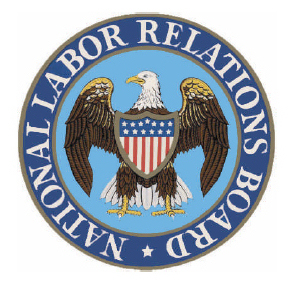 In one situation from the top, the National Labor Relations Board (NLRB) has revived efforts to modernize and make more efficient the timelines and rules that govern some election procedures. Will this lead to a drastic surge in private sector union organizing? Of course not, despite the fact that all corporate interests will now unite to “protest too much.” Some of the changes like finally giving the union telephone numbers and email addresses as part of the Excelsior Underwear requirements are decades overdue frankly, and have only been denied to unions in order to make not only pre-election outreach harder, but constant contact and representation more difficult and expensive, if not impossible, as well. The more critical proposal in the announced rule changing is not just a quickening of the average election period target to 25 days from the current mid-30 day average, but allowing workers to “vote first,” while companies challenge later, preventing the often meritless challenges and delays by management lawyers as their standard go to election tactic. Adopting this rule won’t change the game or lead to a surge of union success, but it does matter and makes sense regardless of the hue and cry. On the other hand a rule making proposal coming from the bottom that could make a huge difference for millions is the 41-page petition proposed by the National Day Labor Network (NDLON) to the Department of Homeland Security to defer deportations. The NDLON effort seeks to finally get DHS to stop its record breaking level of deportations of undocumented immigrations during the Obama Administration, arguing that ““it is sound policy and consistent with the President’s authority to make a categorical determination to prioritize resources away from the estimated 8 million” people who would qualify for legal status, and possibly citizenship, under a plan approved by the Senate last summer.” This is one that not only makes plain common sense, as in why not prioritize criminals as opposed to people who will likely under any Congressional compromise, be allowed to stay in the United States, yet all the evidence, and some yapping by ICE agents themselves, indicates that time and money are being routinely wasted in throwing out the net too broadly, regardless of what they might claim at headquarters. The President has been all over the map on this issue, giving the impression once again that the White House is suffering from management drift allowing DHS to create policy on the ground no matter what is said at the top with the victims irreparably harmed with families split asunder and lives uprooted. The deportation issue is so severe that United We Dream and other DREAMer organizations who have been the standard bearers in aggressively pushing courageously for reform, are also reportedly being moved to diluting their demands for reform in hopes of even a modest deal with the Republicans as long as it stops the deportations. All of which leaves us on the horns of a dilemma. The President’s politics on immigration have been to be a tough guy on border control and deportation to throw bones to the Republicans, and to use the same strategy of accelerating deportations to hold the progressives and the left in check as well. It’s not working on the right at all, but it’s dividing all of the reformistas badly, since the pain is even more real than the politics. If we have to follow the rules, it matters if they are real and balanced, and here are two cases where changes are overdue. Hasta pronto! This entry was posted in Citizen Wealth, Labor Organizing and tagged Excelsior Underwear, national labor relations board, nlrb, union elections, workers by Wade. Bookmark the permalink.